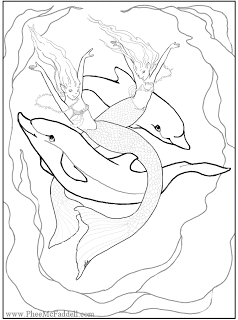 Artist Phee McPhaddell has some free fantasy coloring pages you can print out. I have been getting into coloring for anxiety reduction. I bought a few coloring books on Amazon and I came across these fantasy coloring pages today at this site. It is called Enchanted Designs Fairy and Mermaid Blog. You can see more by going there.